Pakistani sensation Fawad Khan has been spotted with Karan Johar and Shakun Batra at an eatery in Mumbai which has raised speculations about their upcoming project. While Shakun Batra has denied the rumors, Johar and Khan have decided to stay mum on it. After the huge success of Kapoor & Sons, the handsome Khan was out from media glare for some time. In this recent interview to IANS, Khan shares many details about how he chooses his project. The Khoobsurat actor said that content is what matters the most while signing a movie. The actor is least bothered whether the movie is solo or has an ensemble cast as he managed to grab viewers’ attention in Kapoor & Sons. He believes that an actor must maintain a healthy balance between solo and ensemble performances. 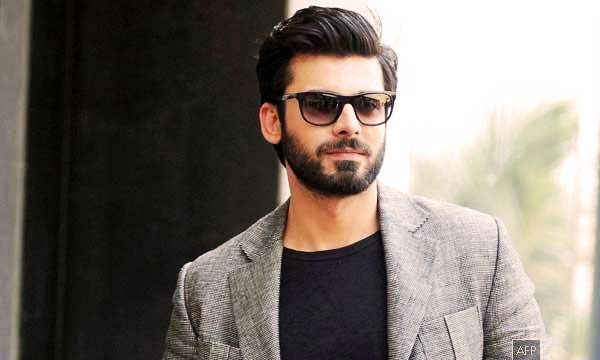 Fawad also shared that he was first hesitant to play the role of a gay person but was later convinced. He added that the character he is playing holds significance for him rather than his looks. He deems that unnecessary objectification kills the real essence of the movie. Fawad Khan to Star in Salman Khan’s Jugalbandi Movie? The actor believes that his no-intimacy policy will not create hurdles in his path to success as many beautiful stories in the past have wooed the audience without intimate scenes on both sides of the borders. The superstar doesn’t want to make his audience uncomfortable and indulge in criticism instead of focusing on the movie. The ruling Khan is currently working on two Pakistani and one Indian movie namely Albela Rahi, Maula Jatt and Ae Dil Hai Mushkil.